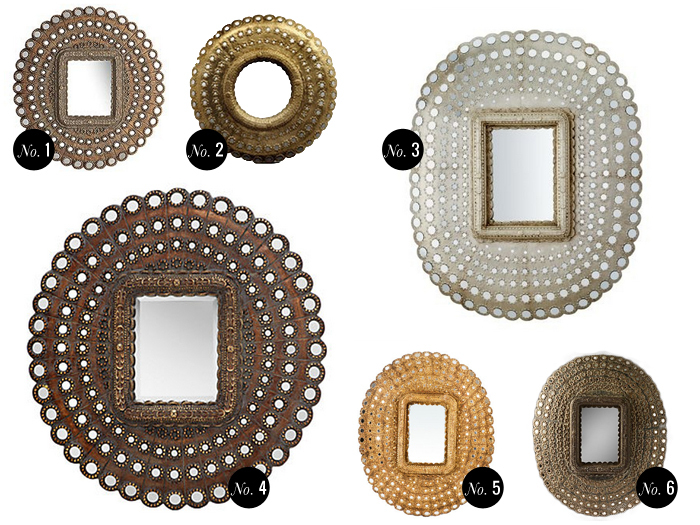 I have been absolutely smitten with peacock mirrors since I first spotted one in Domino many years back, and think one would look absolutely dynamite in our lil' casa. 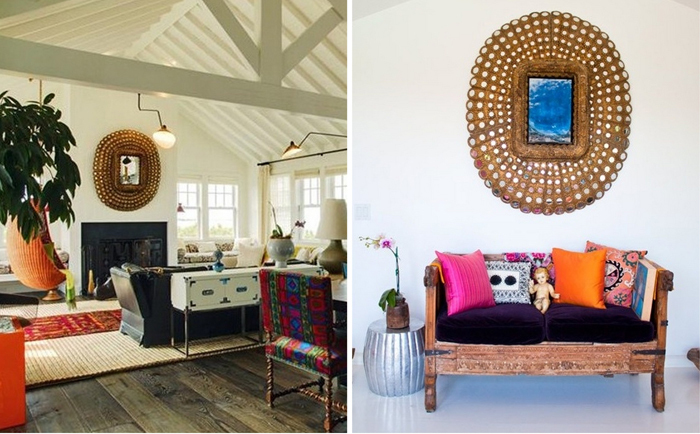 Aside from the fact that they add the perfect amount of drama and exotic flavor to a room (and usually carry a price tag that makes my eyeballs roll back into my head, though I found some very financially feasible options below- phew! ), let's get real....I really just want an excuse to annoy my husband with this noise everytime I walk by. Love the first and last image. 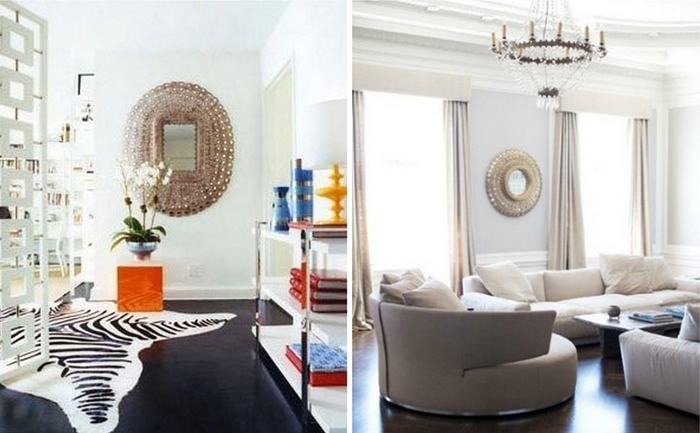 These mirrors are so gorgeous. 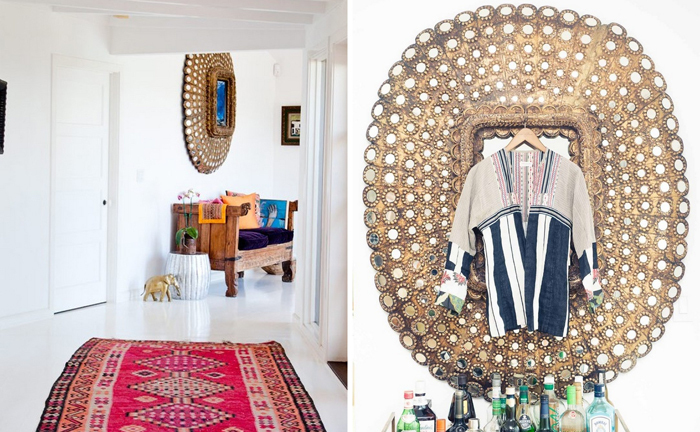 Such a great addition to any room- classic and always on target. I like the first of the third row (number 5). That little elephant is great with the mirror! 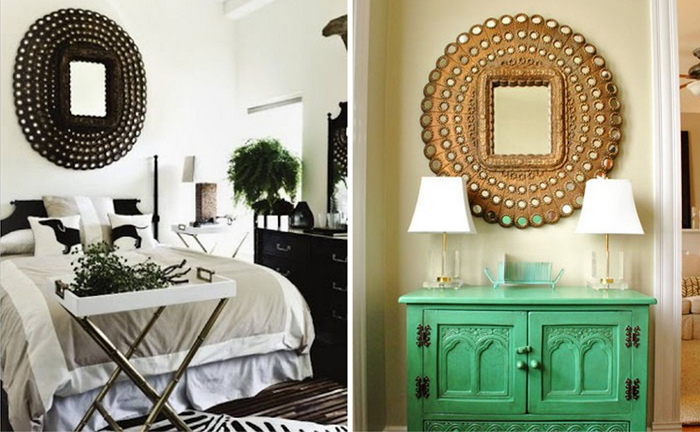 I love the mirror over that green credenza -- but I love the credenza even more! Thanks so much for the mention today. Indeed this is one of our favourite mirrors as well.